Memorizing Makes Your Brain Bigger. I’m reading Moonwalking with Einstein, a book about memory and how the author made it better. Facinating stuff so far, but this little tidbit deserves a blog post. I’ll never think about cabbies – at least London cabbies – the same way again. “These studious cyclists are training to become cabdrivers. Before they can receive accreditation from London’s Public Carriage Office, cabbies-in-training must spend two to four years memorizing the locations and traffic patterns of all 25,000 streets in the vast and vastly confusing city, as well as the locations of 1,400 landmarks. Their training culminates in the infamously daunting exam called “the Knowledge,” in which they not only have to plot the shortest route between any two points in the metropolitan area, but also name important places of interest along the way. Only about three out of ten people who train for the Knowledge obtain certification. That is a high bar to set for mere cabdrivers. Amazing. The author then follows up with something my neuro-radiologist best friend and I were talking about the other day in Vegas. I’d asked if the often sited “we only use 10% of our brain” was true. He wasn’t sure exactly, but said it is more likely we only use 10% at a time. Then we talked a little about memory. I mentioned the 60 Minutes piece with the actor from Taxi who remembered every day of her life in detail, and how there were more people like her interviewed on the show. Then we talked about the interesting thing they found out about those people. They did an MRI of their brains and found hypertrophy in the part of the brain associated with memory. But in the story they didn’t know which came first. Did they have extraordinary memories because they were born with the hypertrophy, or did remembering all that cause them to have the hypertrophy? Well they did the same thing with London’s cabbies. So it looks like memorizing changes your brain. More to come as I keep reading. The other day I was reading OldPremeds.org and someone was asking where they could talk leveling course in Houston for pre-medschool application. In general med schools seem to want all your biology, chemistry, statistics, and physics to come from a four year college, so community colleges are out. The list posted on OldPremeds was incomplete so I did a little research and found these places. Post-Baccalaureate means a person already has a bachelor’s degree and just wants to take course without getting another degree. Offers a Pre-Med program and Post-Bacc admissions. Offers Post Bacc program and a Pre-Med program. Offers a Pre-Health Degree plan in the Biology department. Has Post Bacc programs, and the application does ask if it is pre-medicine. Pre-med post bacc advising and courses. You also might be able to go to some of the satellite campuses, like UH-Clear Lake or UH-Pearland. Rice Class III Continuing Studies which requires at 3.0 GPA to get in and costs like $1300-$1500/hr depending on if they consider you a graduate student or an undergrad. Realizing that I hadn’t looked at Reactuate in a long time, I came over and found the last post was when I started EMT school. 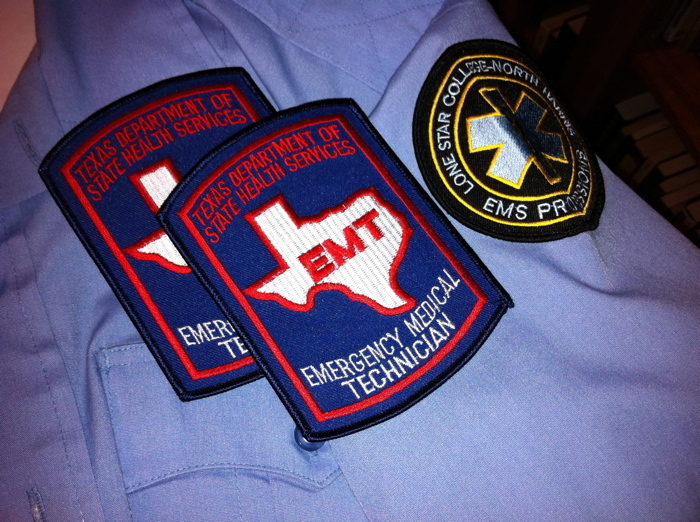 Well I’m done with EMT-Basic class, passed my National Registry test and got Certified by the state of Texas. I also totally got hooked on EMS. As you can probably tell from my other blog/podcasts Confessions of an EMS Newbie. The next logical thing for me to do was to become a paramedic. So I signed up for the Lone Star North Harris Paramedic program. For the next two years I’ll be doing classes at least two nights a week, and normally more. Doing shifts in the hospital and ambulance. If you want to know about this part of my life, subscribe to the EMS Newbie podcast.